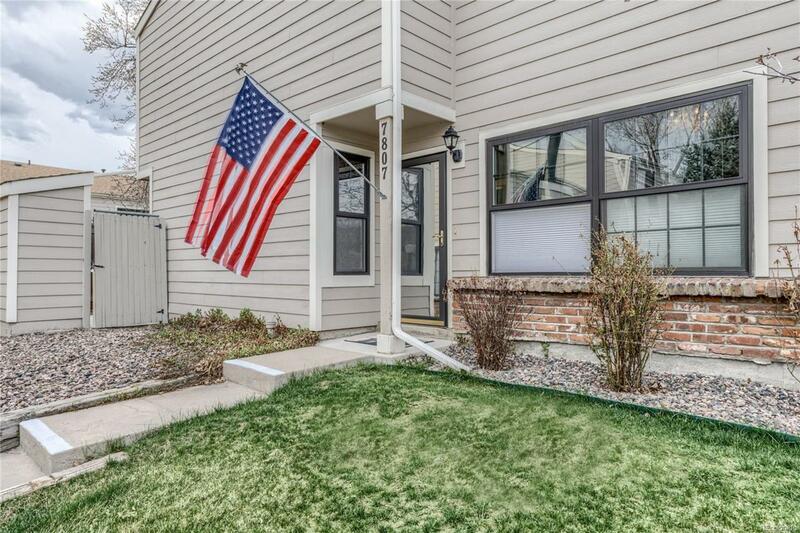 Large, 2br/1.5ba corner condo unit near Standley Lake in Arvada. 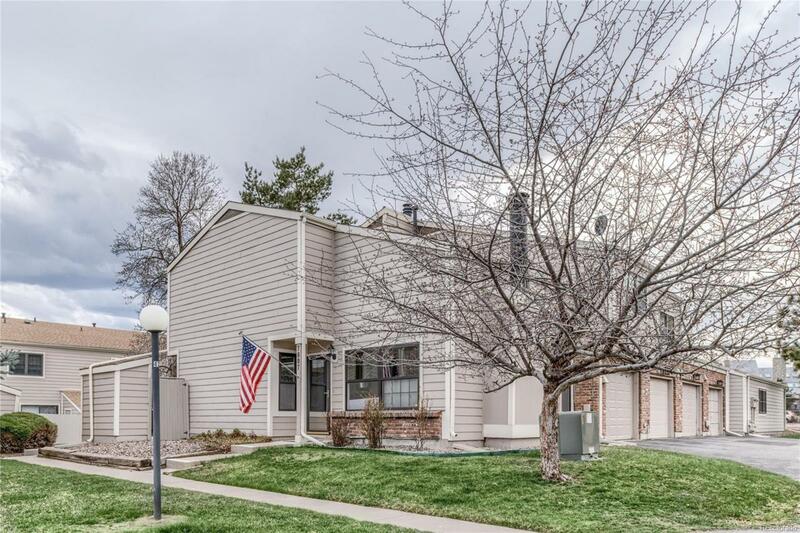 Located in a quiet condo community with tennis courts and pool, this 2-story, corner unit is steps from trails, and blocks to shopping and dining amenities on Wadsworth. 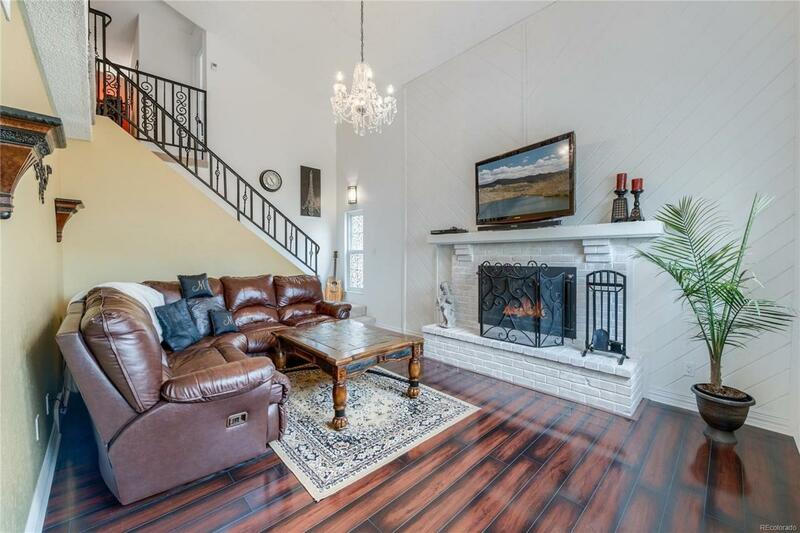 The main floor includes a formal living room with soaring ceilings and a brick fireplace. The kitchen with bar has a glass tile backsplash, stainless steel sink, microwave, electric range and dishwasher. A private, fenced patio is off the adjoining eating area, and a half bath is nearby. 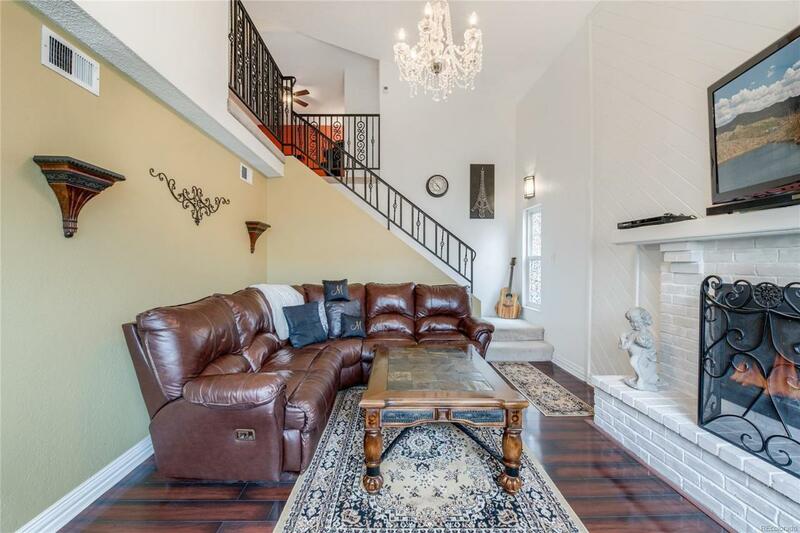 A wrought iron railing leads upstairs to the master bedroom with attached bath, second bedroom and a loft that overlooks the living room. The main floor laundry room includes storage and washer/dryer. For parking, enjoy an attached single car garage and additional outdoor reserved space. Forced air system includes air conditioning. Trash, recycling, snow removal, pool/spa, water and area trails are managed and provided by the HOA for easy, low maintenance living.